Apart from food, senior Thuc Nhi Nguyen said sports are one of the only things she really likes. With almost 700 bylines as a sports reporter for The Daily and experience working for the Seattlepi.com and Crosscut.com, Nguyen has jumped in headfirst to achieve her goals in the field. “I’m one of those kids who decided what they wanted to do pretty young. Besides the fact that every five-year-old wants to be an astronaut, sports journalism is really the only thing I’ve wanted to do,” said Nguyen, a senior majoring in journalism and mathematics. 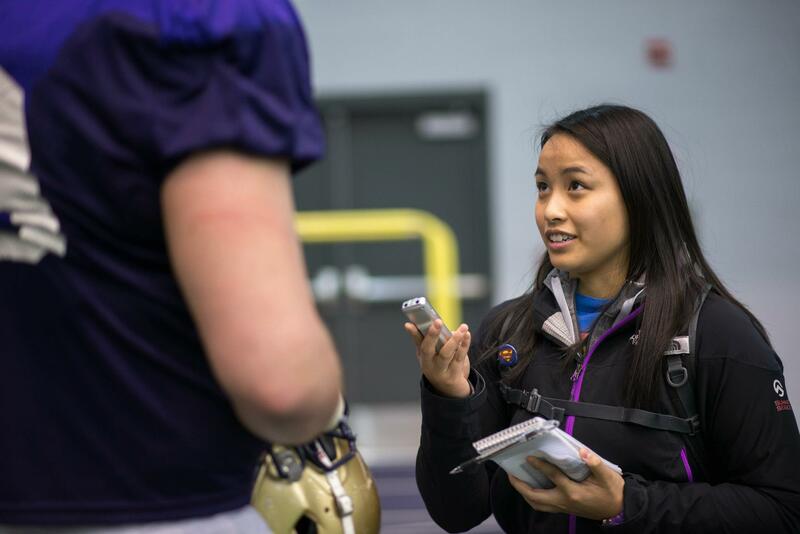 Possibly the first from the UW, Nguyen received a national sports reporting internship from the Sports Journalism Institute, an organization that helps women and minority journalists enter newsrooms around the nation. 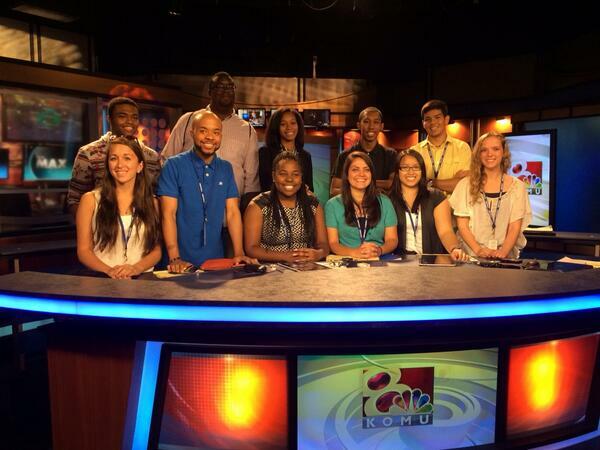 The group of interns during the week-long boot camp in Missouri. Photo courtesy Thuc Nhi Nguyen. Nguyen joined the intern group of six women and five men from colleges around the United States at the University of Missouri School of Journalism for a week-long boot camp earlier this month. The diverse cluster includes a variety of backgrounds including African-American, Hispanic, Caucasian, and Asian-American. Originally from Seattle, Nguyen will branch out for the summer as the interns get sent to newsrooms at various media outlets across the country, including ESPN.com, MLB.com and the Los Angeles News Group for Nguyen. While she said she doesn’t know enough to be nervous, Nguyen is looking forward to saying “yes” to every opportunity.